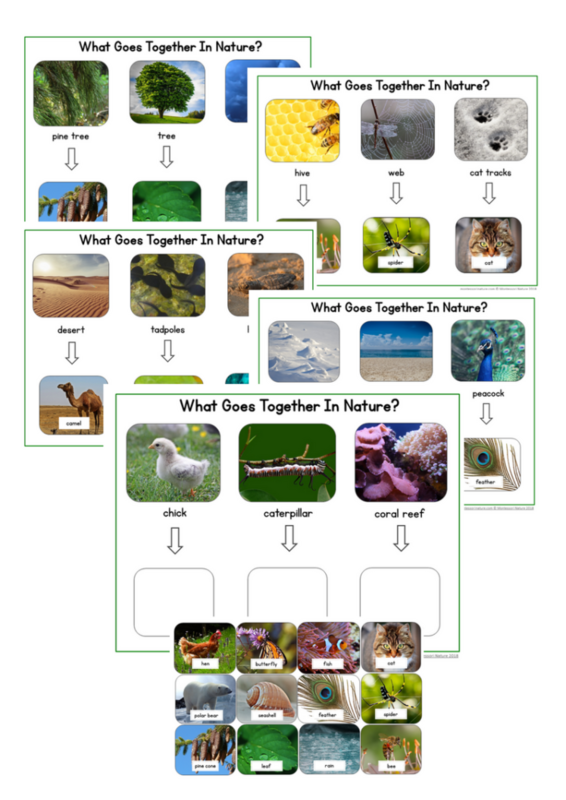 What Goes Together in Nature? – for practicing common associations. Includes student cards for self-assessment. Especially appealing to visual learners. Features colorful photographs of nature. Special Education, EFL – ESL – ELD, Speech Therapy. There are 15 matching pairs – three on each page. Colourful photographs with word labels make reading easy to match the pairs of items. This is a perfect activity to practise nature associations, build vocabulary and practical addition to your Nature Corner. The printable is suitable for children ages 3-6. 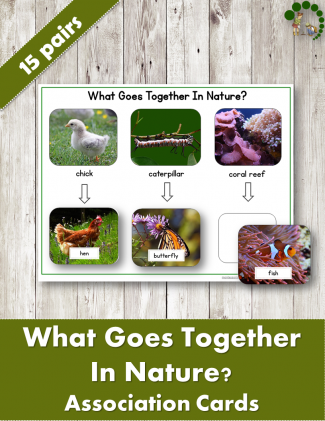 What Goes Together in Nature? Association activity is an excellent addition to the Literacy Center.